We asked two local dads to share the story they think is most important to tell their children. Both speak to the pull of history, family and commitment to belief. Lawyer Philipe Smyth has dedicated his life to social change for those who live in Burma (now Myanmar) Philipe’s country of birth, from which he was exiled in 1971. Philipe, his wife and son live in Leichhardt. My grandfather is British and grandmother Burmese, and I am married to my wife Nyo Nyo who is Burmese. We met in Sydney and have a 9-year-old son. My family has a history of divided loyalties. In WWII my father fought the Japanese in Burma, and my Burmese nationalist uncle joined Aung San (Aung San Suu Kyi’s father) and to fight the British, on a Japanese promise to grant Burma independence. At the end of the war my father and my uncle ended up as colonels in the fledgling Burmese army. They did not speak to each other for a long time. I attended an elite private school in Rangoon run by the De La Salle brothers (my father and my uncle had also attended), and I went on to do Law at Rangoon University. We had a strict upbringing and I was a swimming and diving champion in Burma. I was not permitted to fly westbound, and when my Pan Am flight left the tarmac for Australia in 1971, I breathed a sigh of relief. I was permitted foreign exchange of 10 pounds to start a new life in Australia, where I had no family or friends. I started off at a boarding house in Bondi, and was soon working for Price Waterhouse. I went on to do Law at the University of NSW, and I graduated in 1977. In the same year I was admitted as a Solicitor. Very little was known about the persecution and human rights abuses in Burma, and a nationwide uprising on the 8 August 1988 (8-8-88) failed when thousands of demonstrators were shot and killed. Hundreds fled to the Thai-Burma border to continue the fight against the regime. In about 1980 I had set up my law practice in Balmain. The former President of East Timor Jose Ramos Horta was a client and friend. I regularly travelled to the border and in 2000 I closed my practice to participate in the revolution. I was soon elected vice chairman of a 26-member umbrella organisation, made up of ethnic armies and dissidents. At the same time I was a joint general secretary of a Burmese lawyer’s organisation set up by Burmese lawyers in exile. We conducted workshops on the rule of law, human rights, democracy and constitutions in the liberated areas bordering Thailand, China, India and Bangladesh. I found time to complete an international masters degree in Human Rights in Bangkok. I was back in Sydney and practising again in 2004, and in 2005 my wife gave birth to our son Sidney. In Sydney, I am the president of a community-based Burmese association. The ‘transition to democracy’ under a military drafted 2008 Constitution (25% of the seats in parliament are reserved for unelected military representatives) has robbed us of our revolution. The military and its cronies have financially benefited, and the repression, arrests and human rights abuses are daily increasing. General elections are scheduled in November of this year, and the prediction is that the elections will not be free and fair. I went back to Burma in May 2013 (first time in 44 years) as a member of Sydney University’s constitutional workshop. I feared arrest and imprisonment under the Unlawful Associations Act in Burma. I have spent most of my life fighting for human rights, the rule of law, and the restoration of democracy in Burma. On his many trips to Burma with his mother he has been confronted with the poverty, despair and the desperation of the common people. My message to my son will be to be honest and compassionate, and to fight for equality and justice for the common people. I look forward to Father’s Day, and I enjoy the regular feelers of, “what do you want for father’s day, Dad?” It is an expression and a confirmation of his love for me, and we will find something interesting to do together on this special dedicated day. We have our traditional day for elders in our Burmese community in Sydney on the 30th of this month. My son will join us in this celebration in paying homage to our elders in the community. I am confident that his respect for elders will increase his “life span, beauty, happiness, and strength” in accordance with the teachings. 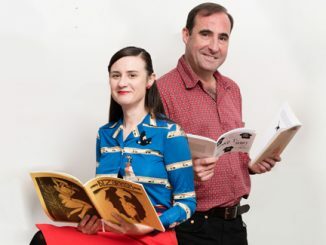 Stand-up comedian and history nut, James Flavin, had the opportunity to share his grandfather’s story with his teenage daughter in situ. My grandfather and my daughter were born 101 years apart, granddad in 1895 and Dayna in 1996. Both were born into rapidly changing worlds. When granddad was eight years old the Wright Brothers launched powered flight, when Dayna was eight years old Mark Zuckerberg launched Facebook. Granddad lived long enough to see man walk on the moon. Who knows what wonders my daughter will see in her time on earth? 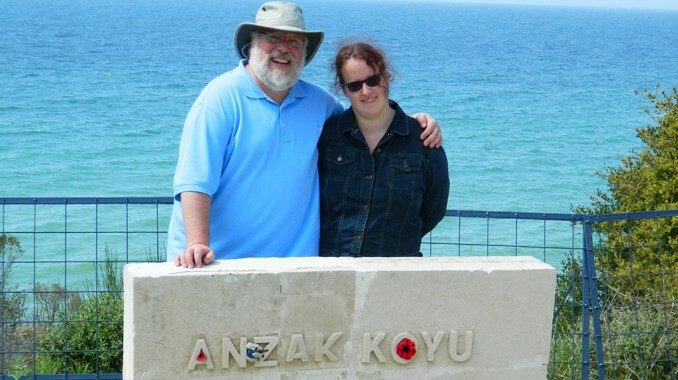 Earlier this year I had the chance to take my daughter to Gallipoli for the centenary celebrations of ANZAC. I say I took her, in actual fact she took me. Dayna’s name was pulled out in the ballot for places at ANZAC Cove for the Centenary Dawn Service and she was allowed to take a ‘plus one’. Applicant One: Her 15-year-old brother. Pros: Named Tom after her Gallipoli veteran great-grandfather. Cons: Younger brother will get on her nerve and likely killed before leaving Sydney Airport. Pros: A lovely mother-daughter bonding experience. Cons: Mother not interested in going. Applicant Three: Her father, AKA me. Cons: Not relevant (see pros). We spent a week on the Gallipoli Peninsular. Dayna had heard the stories of Gallipoli from the cot. 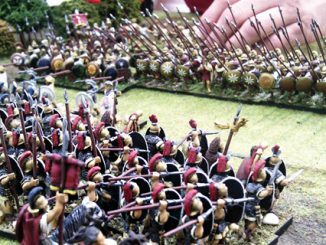 She was familiar with the major battles to a depth much greater than most of her peers, but for her the places were just names in a book. Gallipoli felt as real as Mordor or Narnia or Adelaide. We spent that week walking the battlefields of Gallipoli. Dayna would be in tears as she saw headstones of boys her age or younger. Her great-grandfather fought there as a 19 year old, she walked there as an 18 year old. The century in between melted away as she climbed where he climbed, sat where he sat. We spent a morning at The Nek, that patch of land commemorated in the climatic scenes of Peter Weir’s film ‘Gallipoli’. We read from the history books of that morning in August 1915 where wave after wave of lighthorsemen charged to their doom, bayonets against machine guns. We cried together as we read the final words of digger Harold Rush, “Goodbye Cobber. God Bless You.” Rush was a comparatively old man that day; he was 23. In under an hour on that morning over 230 men were dead and 130 odd were wounded, for no strategic gain. Dayna knew those stories. She knew I was proud of my grandfather and grateful for his service, but unlike me never had the chance to meet him. That week in Gallipoli, walking a mile in his shoes, took those stories from being my stories of my grandfather to being her stories of her great-grandfather, an Australian teenager like herself, a long way from home serving a country he loved. And more importantly, made her even more determined that this should never, ever happen again. • James Flavin has two projects of note that seem to be at odds with one another. He is currently reporting the events of World War One a hundred years after the event on Facebook and Twitter at @AustraliaWW1. His stand-up comedy show ‘I’m Sorry’ is in the Sydney Fringe on September 5, 9 & 12, further details on his website JamesFlavinComedy.com.